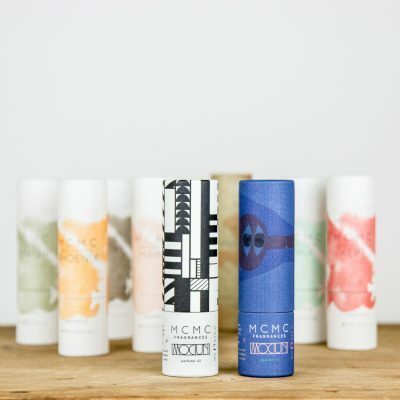 Made in small batches by Kore Herbals in Portland, OR. 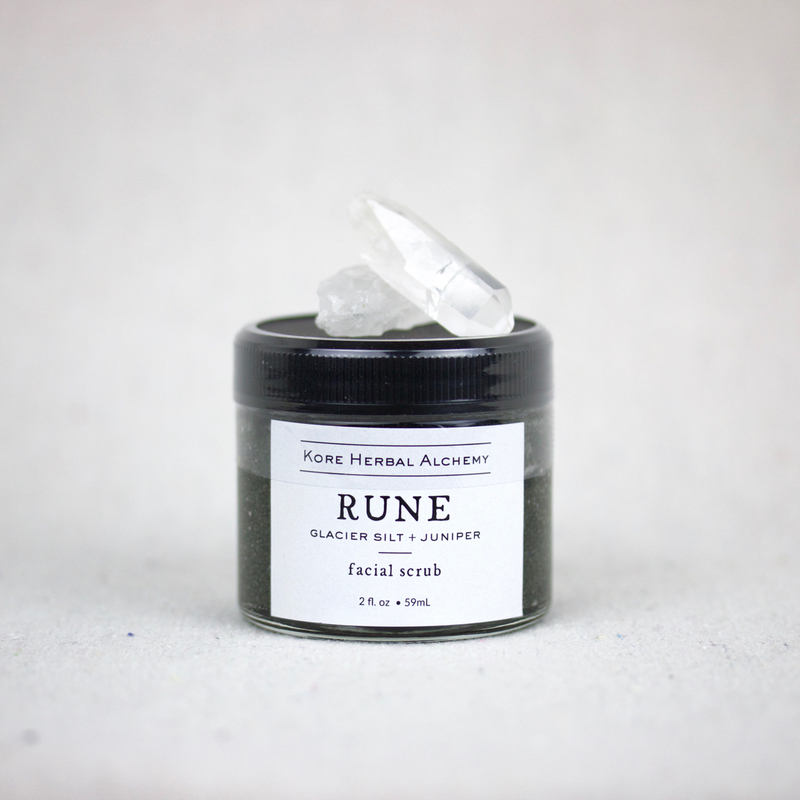 Rune Facial Scrub is a facial exfoliant handmade with Alaskan glacial silt, activated charcoal and plant-based glycerin. 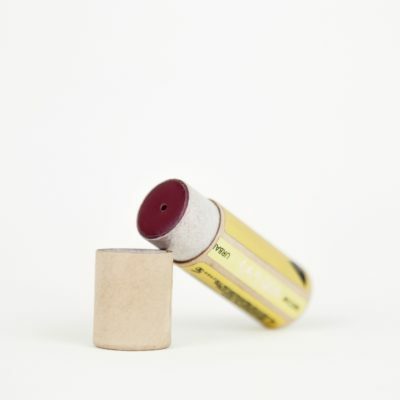 Glacial silt is high in minerals while activated charcoal cleanses and detoxifies. Plant-based glycerin leaves exfoliated skin soft and hydrated. For all skin types. 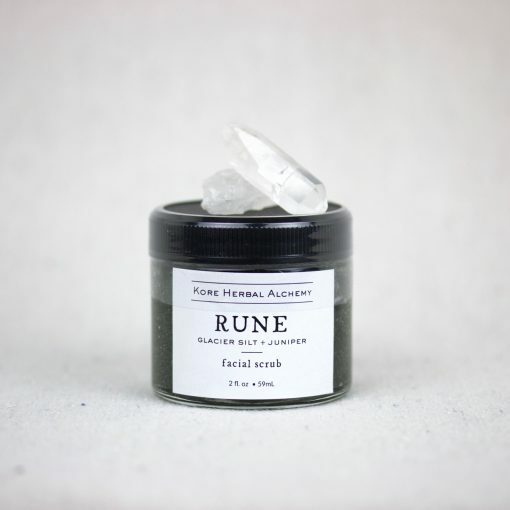 For use: gently scrub damp facial skin with a dime size amount of Rune. Rinse and repeat once weekly for best results. Comes in a 2 oz recycled glass jar with screw cap lid. Keep container dry and cool for prolonged shelf life of 6 months. 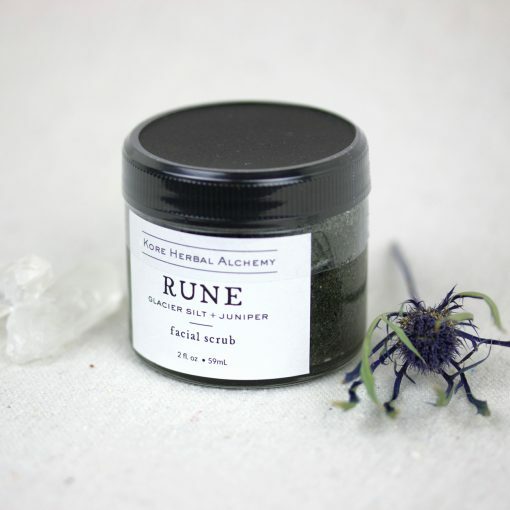 INGREDIENTS: Alaskan Glacier Silt, Castile Soap, Vegetable Glycerin, Activated Charcoal, Essential Oil Blend. 98% organic, locally sourced ingredients.